The ecommerce industry is an ever-changing medium. It keeps pumping the business owners to try new things to stay in the competition. They need to create balance with the latest trends and industry’s best practices to sustain success. And for that, they should know about the alternatives they have!! So, here is an exceptional list of ecommerce platforms & software to keep you updated. Ecommerce has changed the way how brands reach to their customers. It offers the flexibility to shop and buy over the internet to the consumers and businesses. Now it’s all about convenience. Especially, the convenience of time for your customers as well as owners. And at the same time the convenience for online transactions. Thereby performing the transactions on the same day. Thus, there lies a platform at the core of every ecommerce business that powers the store. If you are thinking to start an online business, then an ecommerce platform is what you need. To manage your page or website, sales, and operations. There are many ecommerce platforms available in the market. 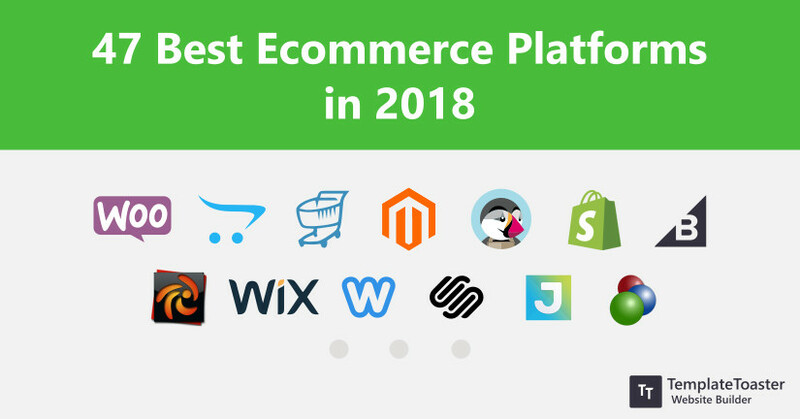 Here at Templatetoaster ecommerce website builder, I have compiled a list of the most noteworthy ecommerce platforms and software. And these platforms can help you launch your own conventional ecommerce store. Of course, there are some leaders in the space, but not the best ecommerce platform. Because it depends on your needs that which platform will work best for you. So, here at Templatetoaster website builder, I have prepared a list of big contenders suggested by the ecommerce community itself. 2006 421,478+ $16.50/Month SMEs but can be used for larger businesses. 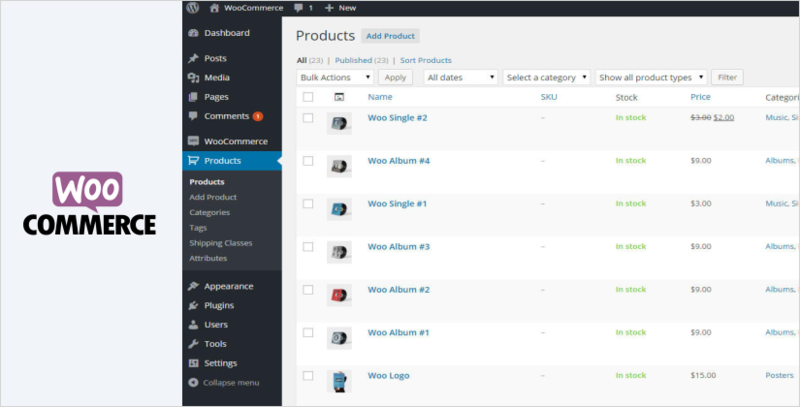 WooCommerce is a free WordPress plugin, launched in 2011. This customizable ecommerce platform comes with secure payment gateways and shopping cart options. It has the ability to turn any WordPress website into an ecommerce store. However, you can add unlimited product categories, inventory management, and coupons to your site. Super easy to manage admin panel. You only need to add content and the rest WooCommerce will do for you. Whereas, it involves some investment to get hosting, domain name, extra extensions & themes. Above all, poor media manager for handling images. Additional investment for integrating shopping cart. Lack of scalability with business growth. Shopify is a Canadian-based ecommerce platform. It is indeed a great choice to open an online store for small-scale business. It serves a plethora of themes, plugins, and extensions for convenient mobile shopping. Shopify offers inbuilt integration with Facebook, Twitter, and Pinterest for better social commerce. By spending $ 9 you can convert your Facebook account into an Ecommerce platform. A service to lower the transaction fee i.e. point-of-sale (POS) system to process sales is also included. But, it depends on the plan you opt. Since, it provides technical support via live chat, phone and tutorials as well. Hence, building a full-featured online store with built-in payment processing is a breeze. Additional transaction fee if not using Shopify Payment. Extra investment for useful extensions. Magento is a popular open source ecommerce platform. It provides unlimited customization options to run a store on your own server. And let you have complete control over the store. It is easy to manage with the core product pages, order management tools, and scheduling tools. 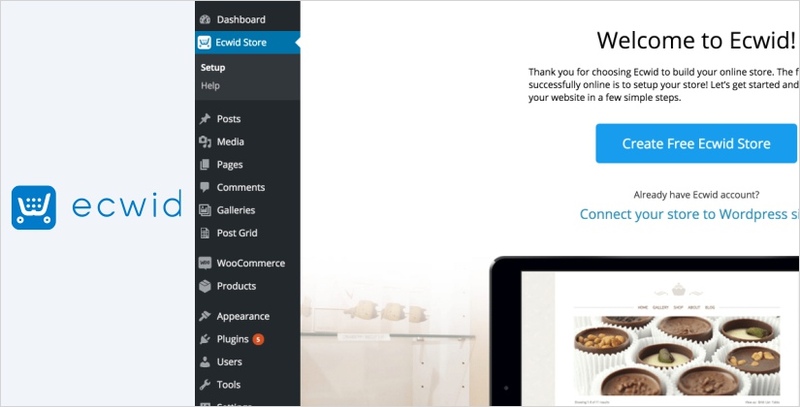 You are free to add the blog to your store via plugins. Similarly, you’ll get free social media extensions to create barcodes, and make price comparisons. Its extensive resource library for demos helps you to build a store with features you need. This is why many leading brands like Burger King, Huawei, Pepe Jeans etc. have trust in this platform. Technical skills needed to set up and customize your store. Requires money and time for optimization. 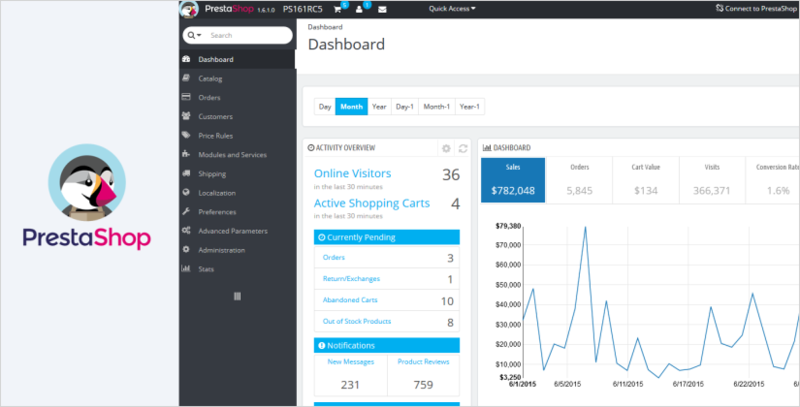 PrestaShop is a beautiful open-source ecommerce platform. It is easy to use and doesn’t need any experience to install. It supports 65 languages. Also include core qualities like search pages, email marketing, detailed analytics and so on. Likewise, provide a wonderful inventory management system and adaptable store maintenance. Furthermore, it has many modules and themes to build a responsive store. It configures various shipping methods and coupons for you. PrestaShop also provides multi-vendor and multi-currency support. You can have a free cloud or self-hosted store to sell the products online. Lesser scalability as compared to Magento or other major ecommerce platforms. You probably have to pay more for nice themes and other extra modules. Premium training is comparatively expensive. 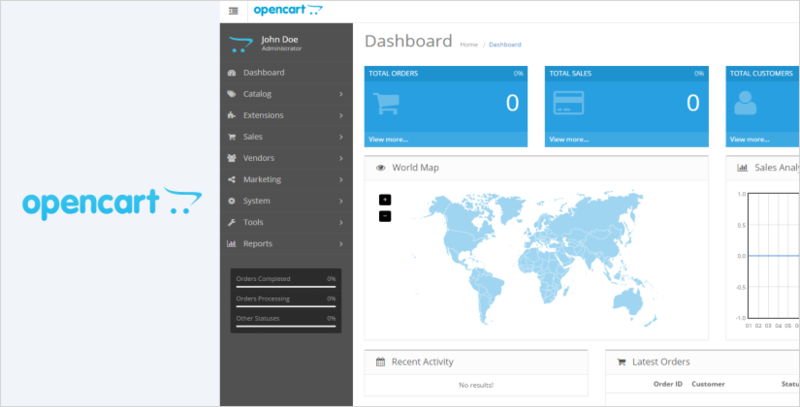 OpenCart is a lightweight and easy to use open-source ecommerce platform. It provides you a feature-rich, search engine friendly, and an appealing interface. It supports over 20 different payment methods along with 8 shipping methods. 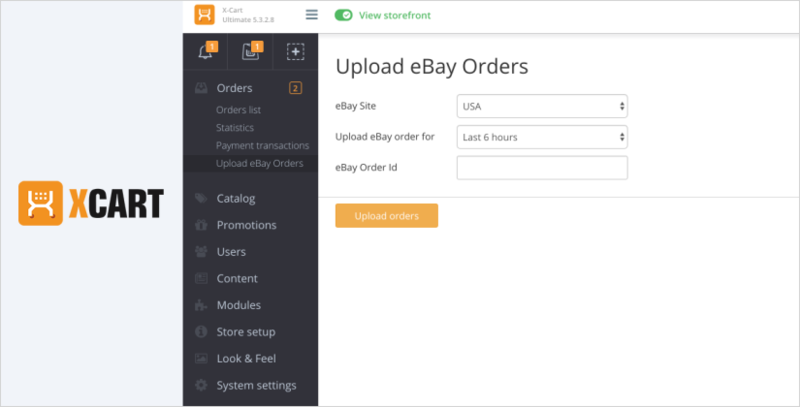 However, the order processing functionality in OpenCart is highly appreciable. It gives great backup, restores tools, and automatically resize the images. It gives a multi-language, multi-currency and multi-payment gateway support. Thus, OpenCart is the best suitable option for basic websites as well as easy developed tasks. Furthermore, it includes lifelong free software updates. Relies on extra plugins for good performance. Customization options are a few. 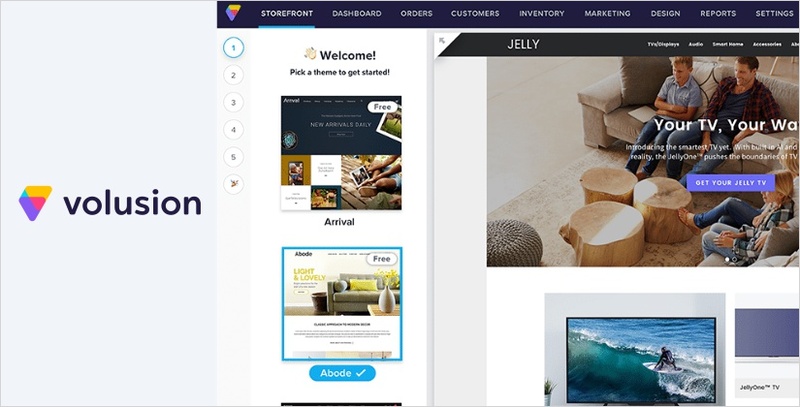 Wix is a cloud-based development eCommerce platform to build a custom web store. It offers hundreds of templates to choose from. You can create a mobile-optimized website in a drag & drop environment. 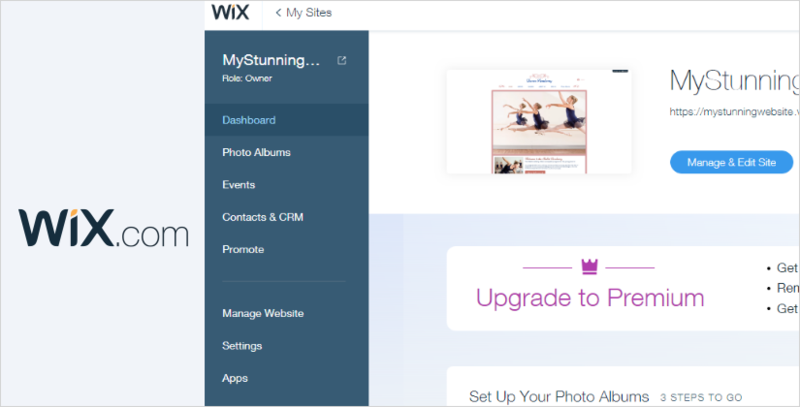 Wix has beautiful product galleries, different payment solutions, secure checkout and much more. It powers you with global tax and shipping methods, coupons and discounts. And also creates backup points that can be restored anytime. Wix provides you a 24X7 support, thereupon adding any feature to website gets simpler. You need to pay for professional features that starts from $ 17/month for a store. You can’t switch a template after you select one and start working on it. Difficult to add custom function if not provided with the app. 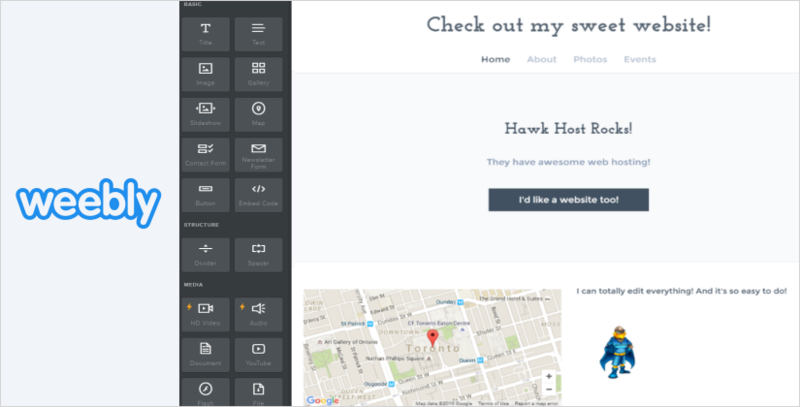 SquareSpace is a cloud-hosted website builder. It offers an ecommerce platform to build your own online store with ease. It renders site theme and tools not only to build a blog or landing page but also to sell your products online. However, there is no transaction fee for online store plans and also avails a free domain with annual plans. To ensure security SSL security is also there. Moreover, integrated Xero accounting, label printing, and an array of metrics also help you. 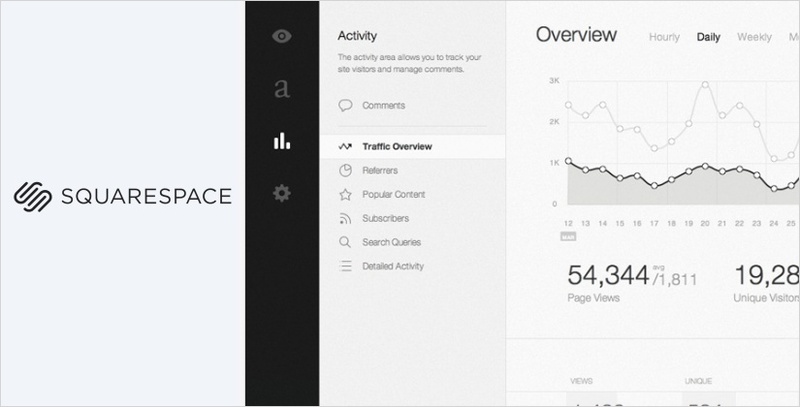 SquareSpace possesses top-class features to build a customized ecommerce website. A transaction fee is charged for sales on business plans. 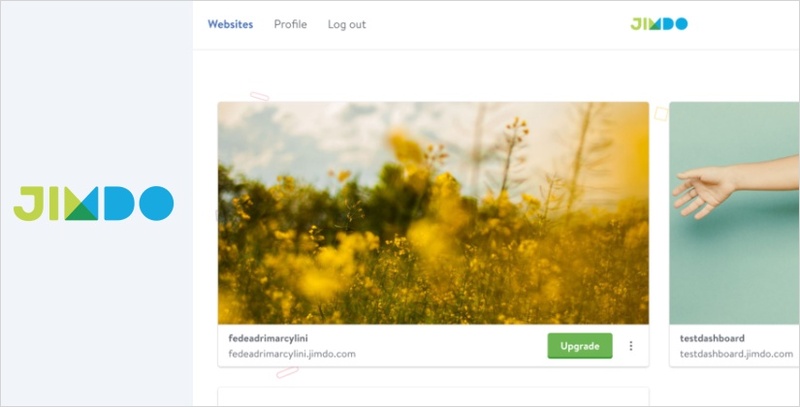 Weebly is a website builder that gives a fully-functional ecommerce platform. It lets you create an online store that works in a way you want it to. Above all, it has an easy to use drag & drop interface to build a standalone website, blog or an e-store. 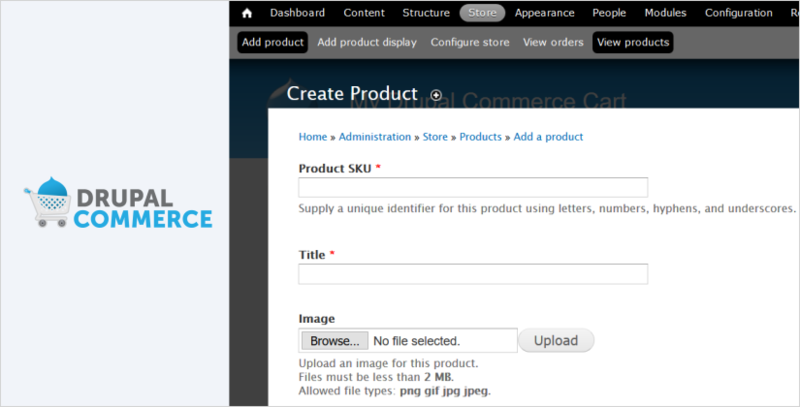 It automatically adds the pages corresponding to the items you add to your website. Weebly calculates tax and shipping rates for orders, send branded store emails. Even so, you are free to structure your products into categories in your site pages. Above all, it provides great flexibility and saves a lot of time and effort. There is no customer login function in case of repetitive shopping. BigCommerce is one of the best ecommerce platforms. In case you’re already having a store then it can help you add your existing product listing to your new store. It integrates with Facebook, eBay, Google Shopping and many other social sites. Thus, while setting up your own store, you can import product list from any such site. BigCommerce makes it easy to maintain the inventory at the selling marketplaces. The responsive themes, POS interface, and shipping options can boost huge traffic. Go through the setup wizard, detailed guides, visual illustrations to learn the installation. BigCommerce is unquestionably the best solution to sell your products at different stores. VirtueMart is a free ecommerce platform coupled with the Joomla CMS. Certainly, it is the best shopping cart solution that comes with a range of templates and layouts per category. There are various payment and shipping options to make this platform more desirable. However, the powerful SEO features can promote your store well. Whereas, the rating and review system that enhances the customer experience. Certainly, all the features make it the best option for small or medium size retailers. And the brands like Produtti Herbalife, DP Moda, 3D Puzzle Welt are using it. Accepting payments via VirtueMart is little costlier in comparison with other platforms. No doubt, the increased market demands raised the number of emerging e-commerce platforms. In fact, a study shows that 78% of shoppers use the internet to buy or research future purchases every year. According to statistics, among US people the trend of online shopping is so popular. Soon, there will be around 224 million digital shoppers in the United States by 2019. As a result, there are many e-commerce shareware to provide you solutions for the same. So, here is the list of existing e-commerce platforms that can fulfill your needs. Let’s have a look. 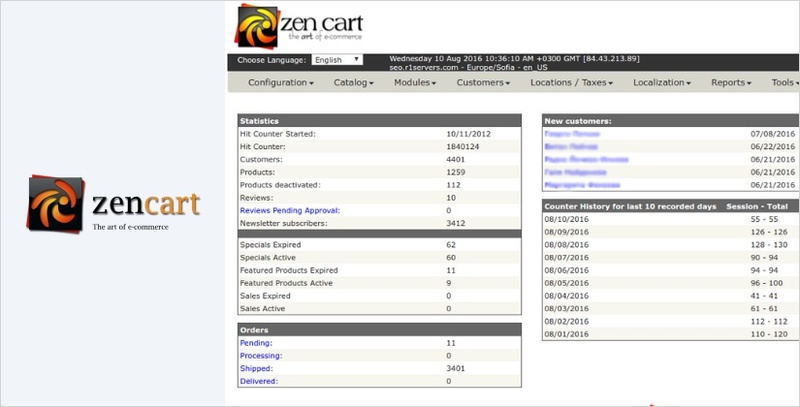 ZenCart is a PHP/MySQL based open source shopping cart with powerful features. It is pretty useful for retailers and non-technical users. It provides hundreds of custom options, downloadable add-ons, and payment gateways. Likewise, the reporting function helps in tracking the product performance. It enables you to show advertisements and banners for associated products. You can also manage discounts, group pricing, coupons, and voucher codes with ease. It offers plenty of themes and multi-language support. And this indeed is a secure and a user-friendly ecommerce platform to scale up your business. Needs customization for a modern-looking cart. 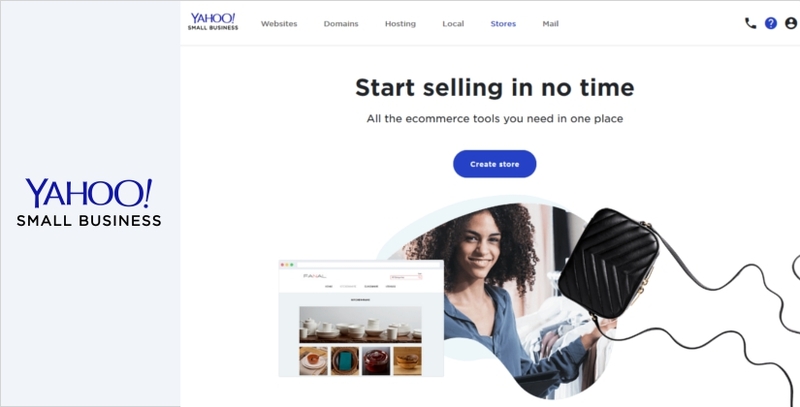 OsCommerce is an open source ecommerce platform to build a self-hosted online store. It is easy to set up with more than 7000 add-ons. And it doesn’t ask for experience to do customizations. 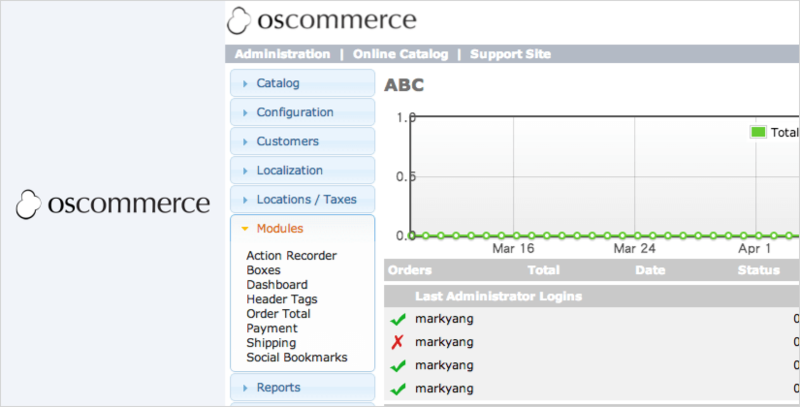 The OsCommerce community has over 280,000+ store owners, who help users with their issues. In fact, it shows the exact stats for products, customers, weight, and price. The destination-based shipping modules and advanced search features make it simpler work with. Currently, brands like Ubuntu Shop, Persico, Melbourne Kitchen Renovations are using OsCommerce. Requires more maintenance and extra expenses on SEO. Less scalable than other competing ecommerce platforms. Since it is prone to errors, therefore, you need an expert to protect a site. 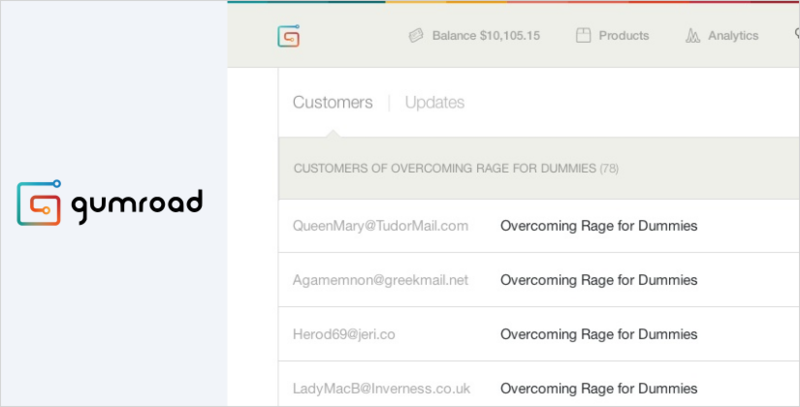 Jimdo is an easy to use e-commerce website builder for small to medium size businesses. It offers several features to build a website in more than 9 languages. 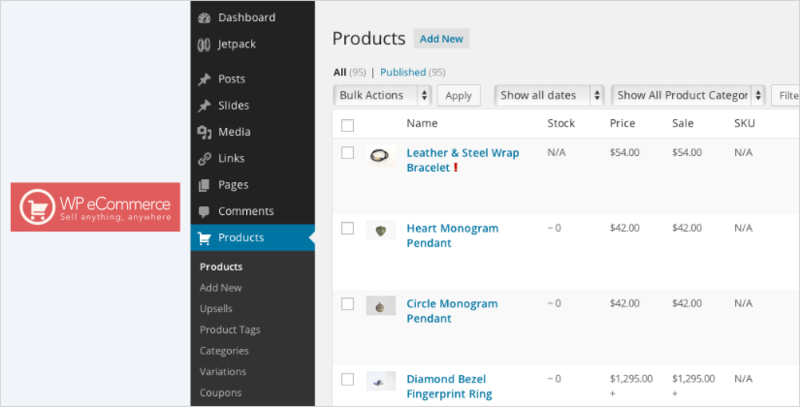 It lets you customize the product listing and adding details on the page with a few clicks. Furthermore, you will get a huge collection of template designs to choose from. All the pages created with Jimdo are search-engine friendly by default. Jimdo is fully optimized for mobile devices too. However, it hosts all the websites even if you are using a free version. You will get a 24×7 customer support system. It provides limited flexibility due to template restrictions. Currently, no credit card gateways are available. Yahoo Small Business has strong features and utilities to add products to the store. It allows you to accept all sorts of payments. It integrates with various shipping methods. Moreover, Yahoo provides support for unlimited products and bandwidth for a smooth shopping experience. And this surely makes it one of the best ecommerce platforms for any small business to start with. 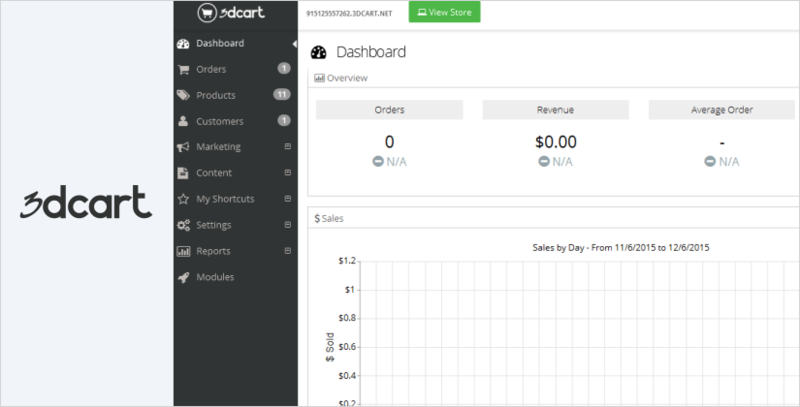 X-Cart is a free and self-hosted ecommerce platform. This platform is easy to use and set up. And offers mobile responsive designs to use along with third-party application integrations. However, the basic edition is free but you have to pay one-time for business licensing. No extra monthly charges as well as no payment for transactions. You are anyhow just a click away from the upgrade. X-Cart is popular for its key features like multi-language & multi-currency support. However, the payment gateway integration, PCI compliance, and security are some significant inclusions. options to use. Well, all these features certainly make it best self-hosted ecommerce store. Extra fee for direct customer support. Some manual coding might require while setting up a new store. Thus, it requires some technical skills. 3dcart is a feature-rich ecommerce platform to build a stunning online store. Basically, it is a hosted solution to build a full-fledged online store from beginning to end. Hundreds of easy to use customizable designs are available. All the designs are mobile optimized. Also, supports unlimited product categories, waiting lists, tax handling and so on. A store driven by 3dcart is by default SEO-friendly with upsells and cross-sells. No transaction fee involved and amazing 24X7 customer support. Limited free templates usually with a bland look. 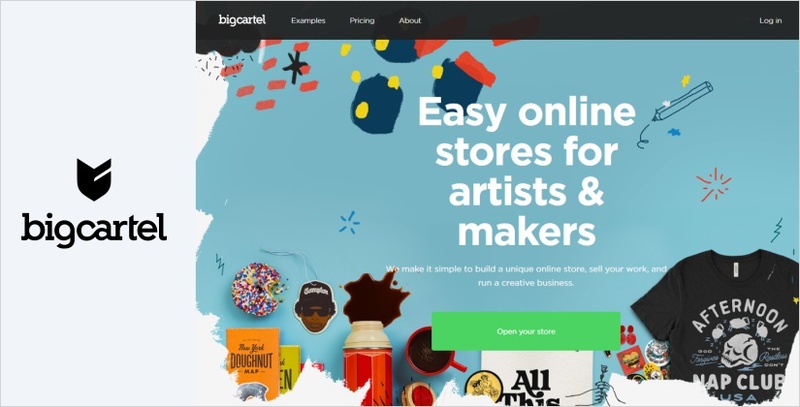 Big Cartel ecommerce solution is basically for makers, creative people. It lets you create a magnificent appearance for your store. Social media integrations like Facebook and Google Analytics enhances your reach. Whereas, order management, inventory tracking, and discount codes boost easy handling. And certainly, all these will help you build a strong online store with ease. Volusion is an effective ecommerce platform to promote your products online. It has unlimited product options to add to the respective product categories. The inbuilt SEO tools help show your products with a detailed listing. However, it automatically calculates the shipping and tax rates. Creating and managing discounts and newsletters is pretty simple with Volusion. It has a social management system that allows you to list your products on eBay, Amazon, and a Facebook Store. You don’t have to pay any transaction fee for posting your reviews. 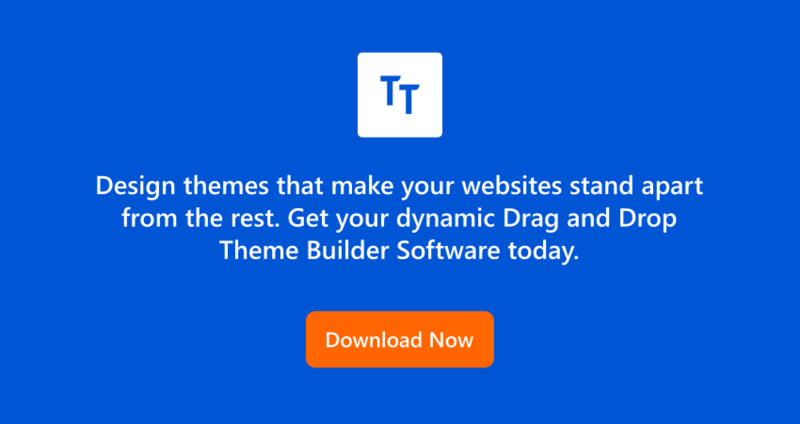 Only a few free themes are available. All plans have bandwidth limitations. Volusion payments are not available to merchants outside the United States. Ecwid is a cloud-based ecommerce platform. It helps you move to another website through widgets. No installation required. Adding your store to various sites, blogs or social networks is very simple. 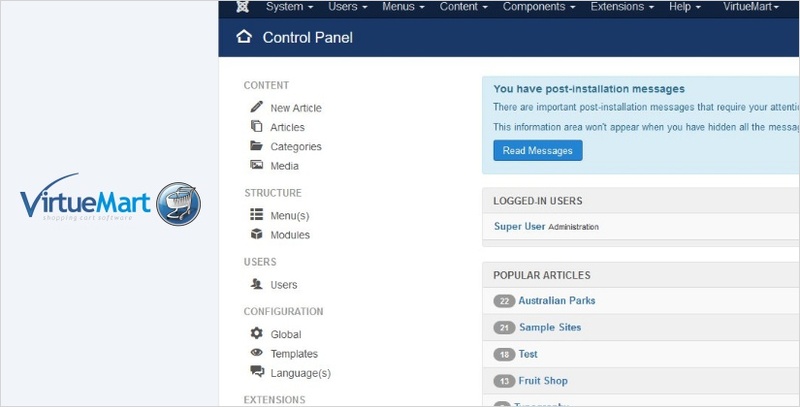 All the storefronts can be managed with a single control panel. Moreover, the responsive design makes your store fit for every screen size. It’s simple to sell on mobile phones, social sites, Google Shopping, Amazon, and Shopping.com. It also facilitates its customers to maintain an account for faster transactions. No setup or transaction fee charged. You can customize your store design & put promotional pricing, discount coupons, volume discounts. There are more than 40 payment options to choose from. Withal, you can work with offline POS systems as well. Not a standalone e-commerce solution. Live Chat and Phone Support available only under premium plans. Selz is a WordPress ecommerce plugin. 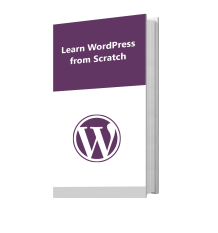 It allows you to add the products to your existing WordPress website. Needless to say that it is a great platform for selling digital products and services. 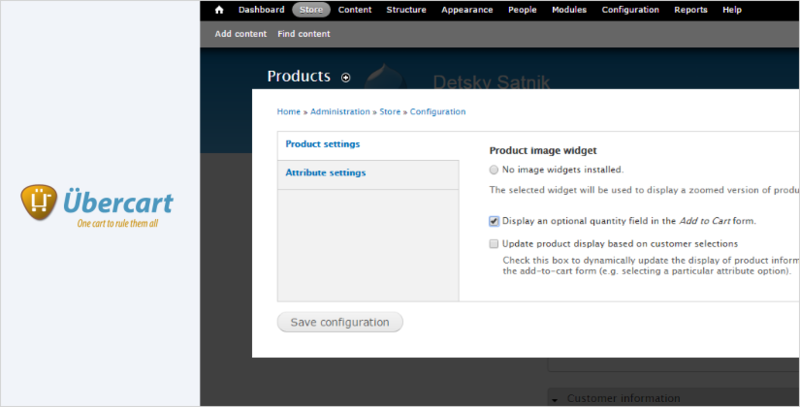 It makes it easy to customize your store with beautiful themes, buttons, widgets. 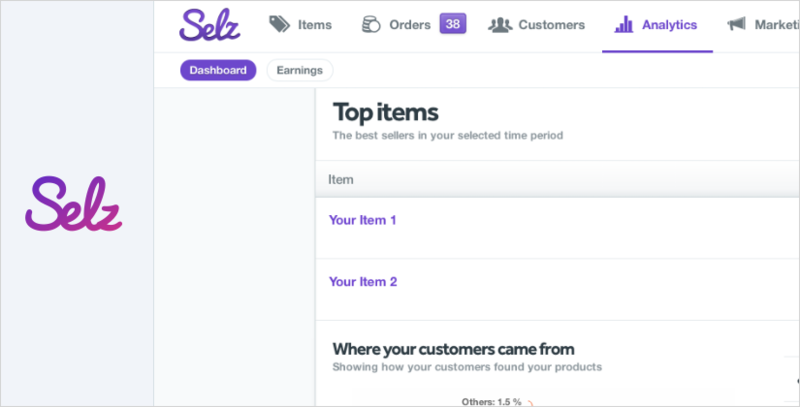 You can manage your sales, inventory, promotions via your Selz dashboard. It integrates inbuilt payment methods and free SSL certificate. Real-time shipping rates are available for physical products. No coding required. Full social media integrated, a single click sharing is available on Facebook, Twitter. Limited features as compared to other ecommerce platforms. Gumroad is an ecommerce platform to sell digital products directly to the consumers. However, if you add more than one product it will automatically convert into a store. It puts a PDF stamping to protect digital products from piracy. It’s simple to share and sell products on social media, blogs, or email with custom product links. In fact, keeping track of sales and tracing audience growth is very simple here. Moreover, the referrals come up with clear graphs in Gumroad. And sending email updates to customers from the dashboard only is also achievable. Also, it helps you to grow your audience through a landing page. It provides tools for artists, writers, & musicians to sell products to their followers. 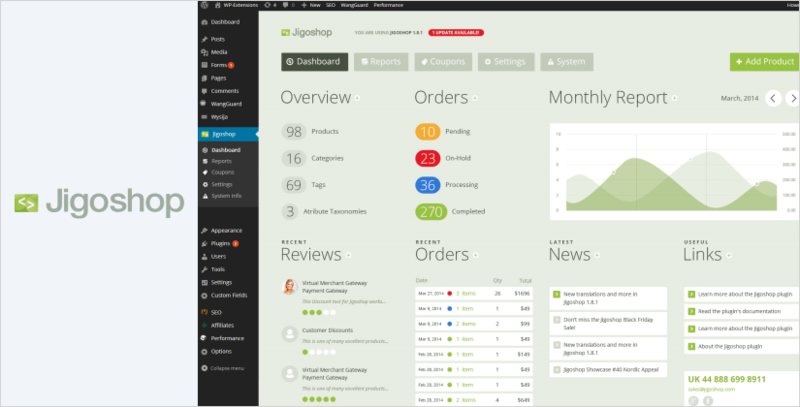 JigoShop is an open source WordPress ecommerce platform. It is often compared to Woocommerce due to its ease of use and migration options. It bids a broad functionality with a wide range of plugins and add-ons to scale up your website. JigoShop is a lightweight & functional platform for beginners as well as intermediate users. Thus, it’s an easy peasy job to work with a basic dashboard. Whereas, the range of payment gateways, shipping tools, and product import/export, makes it way easier to use. You probably have to rely on the forums and blog posts for customer support. Extra investments needed for product comparison, themes, PayPal integration, and coupons. Drupal Commerce is one of the most comprehensive open source ecommerce platforms. A considerable percentage of the internet is powered by Drupal. It gives the flexibility to integrate a rich commerce experience. Additionally, it connects content and products seamlessly to scale up the user experience. Optimized merchandising tools and SEO tools provide an optimized website. The built-in security system that frequently updates, keep your website secure. Thus, you experience a great speed and performance with built-in caching. It supports a huge community to help you with your issues. Open Sesame, Lush Cosmetics, and many such big brands are already using it. A tough learning curve is associated with it. It seems you have to pay some extra cost for host servers. WP ecommerce is a simple and reliable WordPress open source ecommerce platform. It provides amazing ecommerce functionalities to add products to a catalog. Monitoring sales, reporting, configure taxes & shipping, payment gateways integration are some noticeable features. It has a clean and modern interface with an easy to navigate backend. Hence, you get superior customer support. Even, a large community is there to help you out. Many big brands like Molly Meg, Cronut are using it. Limited add-ons in comparison with other ecommerce platforms. On the other hand, a Lesser number of themes are available. Ubercart is a simple Drupal open source ecommerce platform. It is easy to set up and comes coupled with a payment module and shipping options. It offers a customizable order processing page. In fact, activity logging lets you find an order’s status at any point during the purchase process. Similarly, the import/export of information from an old store to the new one is really smooth. You will get updates regularly. Thus, Ubercart works well for small stores, whereas extension is also possible. It is probably more suitable for small businesses. Specifically, the customization controls are less powerful. Storehippo is a flexible e-commerce platform with B2B or B2C business model. It provides distinct storefronts to bring higher traffic and conversions. It helps in improving the Google Rank ROI, inventory and shipping from a common dashboard. Thus, you can comfortably create your wonderful ecommerce website with StoreHippo. Cloud cart allows you to create a web store as well as provide you with hosting from Google cloud. No technical skills required to start selling online. One of the best ecommerce solutions that include customers intelligence for e-commerce business. Overall, an easy call for amateurs. Lightspeed is a cloud-based POS (Point-of-Sale) solution to give you complete inventory management. It includes orders, reporting, and omnichannel capabilities. Firstly, there are hundreds of beautiful mobile responsive designs to choose from. Secondly, it provides SEO-optimized back-end. Hence, it has successfully gathered over 50,000 customers in 100+ countries. It is a free & open source e-commerce solution to sell physical as well as digital goods. No matter which size business you run, be it a corporate or small business, nopCommerce has a lot to offer you. It is a transparent and well-structured solution based on ASP.net. It has all the required e-commerce features with a multi-vendor and multi-store support. nopCommerce is the best option as compared to other available in the market. Another powerful e-commerce platform to create appealing online shops of any size. It is free and open source solution. The kind of features you get here will let you create a unique store with a strong reach. And of course, Catalog Management and Channel Management can help you serve better. Whereas, Email Marketing, Inventory Management, Loyalty Program, and Multi-Store Management are also there. Thus, creating a fully-functional online store with Shopware gets easy. The Handshake has all the functionalities required to design a beautiful ecommerce website. It is a mobile & B2B ecommerce platform, fit for any manufacturers, distributors, & wholesalers. Handshake helps to increase sales by taking the orders from all the B2B channel. It can manage the sales with a central hub that integrate to ERP. However, it eliminates the cost involved in manual ordering methods. KartRocket is an ecommerce platform with strong features. 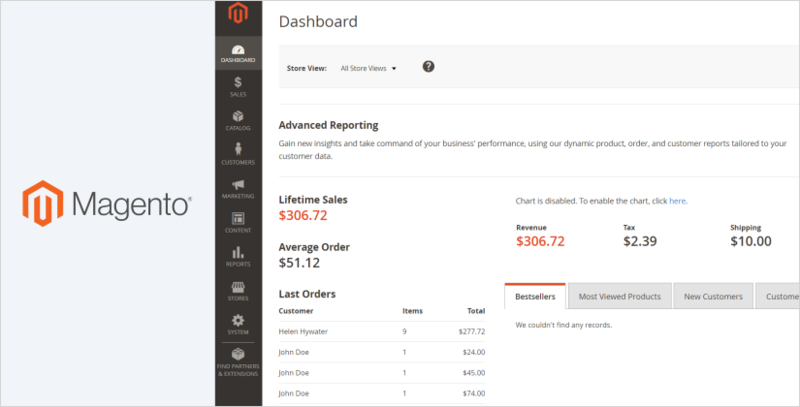 It lets you create your online store by adding business details, payment gateways. Making customizations is easy in KartRocket that too according to your needs. It has beautiful store design layouts and automated engagement tools to aid you. Similarly digital advertisements, coupons, & many other features to serve you. HotCakes commerce e-commerce solution comes with an extremely user-friendly Hotcakes dashboard. You can make a powerful and predictive analysis and share with your team. Basically, it works as a business consultant for you. And furthermore, it offers the options of Managed Cloud Hosting & SLA Support. LemonStand is a customizable ecommerce solution to create unique and beautiful online stores. It is easy to configure, manage, & maintain. It also includes selling retail, recurring subscriptions & digital products. 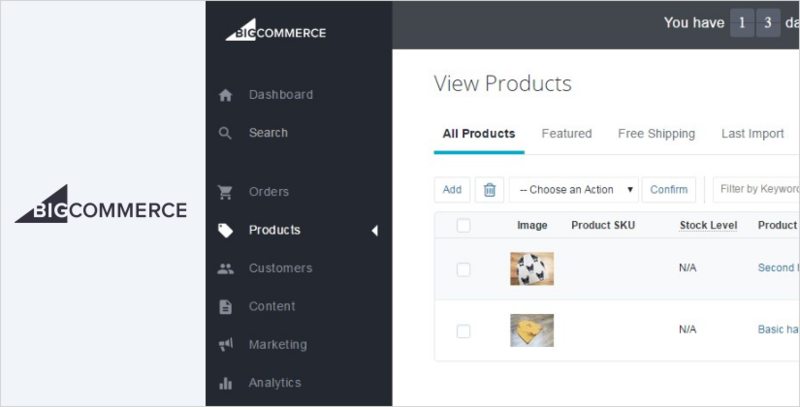 The catalog management and channel management lets you flawlessly design your store. Whereas, features like email marketing, loyalty program, and multi-store management is also there. Nevertheless, you are equipped with an amazing platform. Spree Commerce is an open-source shopping cart for building e-commerce websites. It is fast, flexible and fully customizable. Spree Commerce incorporates many enticing features, for example, Modular architecture, Responsive Site Design. Product Configuration, Customer Subscriptions, Comprehensive API, Robust Open Source Community are also there. And they help in designing a beautiful store. On the whole, it makes a complete package for designing a website. Sylius is a free e-commerce platform simple to integrates with existing systems. Indeed guarantees the fast time to market. Features like exceptional flexibility, code quality, extendability make it more enticing. Indeed, a simple platform to work with. Few complexities while working with Sylius. Subbly is a cloud-based subscription, e-commerce platform. To run your own subscription business, it aids you with enticing features. You will get subscription tools from a hosted website itself. Also, email notifications and marketing tools can help you through. Furthermore, the order management and billing management are easily achievable in. Subbly. By and large, it is a great solution for your online store. Ultracart e-commerce platform manages your business well. It’s easy to manage your online business with UltraCart. Because it offers auto orders, shipping, fraud review, payment processing & marketing management. Moreover, it’s default integration with many payment gateways ensure secure transactions. Yo!Kart is a multi-vendor e-commerce platform to start your own online marketplace. It integrates with MailChimp and PayPal for secure transactions. These reporting tools coupled with SEO features ensure a successful online business. Able-commerce is a full-fledged shopping cart ecommerce platform. This platform is PA-DSS 3.1 certified by the Visa/MC payment industry. It coupled with bootstrap responsive design and integrated with payment gateways. Able-commerce is highly customizable & SEO-friendly platform. Able-commerce is coupled with advanced security features. Furthermore, aids you the option to switch to any other ecommerce platform. This is an all-in-one e-commerce solution to create a new website or move an existing site to your platform. You can test all the functionalities during the trial version. And once you are satisfied with the services of AirSquare you are free to choose a paid plan as per your needs. A superb solution with a variety of attributes. Clarity e-commerce is an extensible and modular platform to grow your business. It provides e-commerce functionality with business intelligence & analytics. Furthermore, you get SEO-optimized administrative tools, platform independence. All these backed by back-end integration of worldwide shipping & tax information. Thereupon, it is a perfect fit for all size businesses. It is a quick & effective ecommerce platform for establishing an online outlet. Hence, EKM allocates a dedicated account manager to every store. In addition, you receive a free domain name and over 200 templates to choose from. You don’t need manual setups for receiving payments. Episerver digital commerce is a comprehensive ecommerce platform. It includes a great merger of digital content, commerce, and marketing. However, premium features can deliver a successful business website in no time. It places all your products, discounts, and assets in a single, centralized location. As a result, you can perform effective merchandising with ease. eComChain is a cloud-based ecommerce platform to build an online shop. It gives you enhanced customer experience. You’ll find hundreds of templates and integrations to various 3rd party services. It is easy to maintain, low cost, a user-friendly ecommerce platform that certainly worth a try. 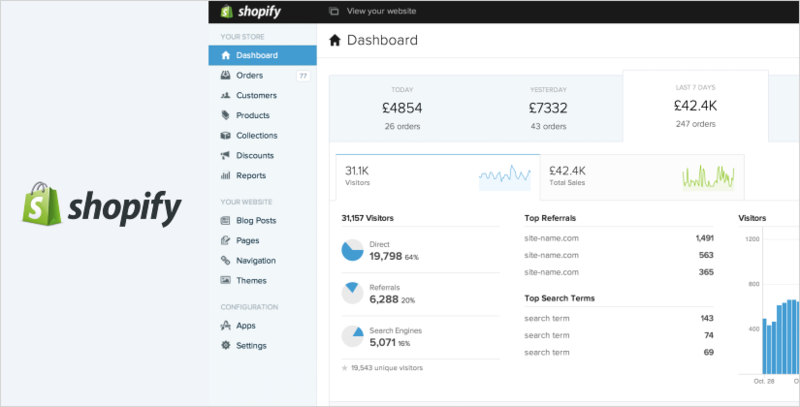 GetMeAShop is an entirely unified platform to build a unique store in minutes. It includes everything from designing, customizing to creating your business. This facilitates to integrate payment gateways and logistics, generating traffic & marketing campaigns. The track analytic and payment receiving methods gives you secure experience. Whereas, driving conversion to actual orders is another benefit come along. Another great solution developed by Anadea for building professional daily deal websites. Getsocio incorporates distinct features chiefly customization options, built-in email marketing tools. Also, shopping cart, mobile apps, affiliate & referral programs, payment methods & social media integration. And this collaboration of features certainly delivers a great looking and working website. Which Ecommerce Platform You Use? There are a number of e-commerce platforms available to build your online presence. Here, you got two lists of e-commerce platforms. There are many big brands that are currently using above-talked platforms. However, your needs may vary. So, I would suggest you make a thorough comparison and select the right one for you. Whereas, if you are looking for some specific features, then you should go by the list. So, basically, you got a rich database of existing e-commerce platforms here. The option you choose will depend on your requirements. I have tried to cover all the useful ecommerce platforms available in the market. Is there any platform which you think I may forget to mention in the above list? Please feel free to share with me in the comments below. Your opinion and suggestions are most welcome.